The card is suitable for PS4, PS3, PS Vita you can purchase a subscription PS plus for playing on the Internet with friends, buy a game or spend on a lot of other bonuses. Become a PlayStation Plus subscriber and monthly get the best games for the duration of the subscription. If your account is registered in another region, then just create a new account in FIN - Finland. 5. 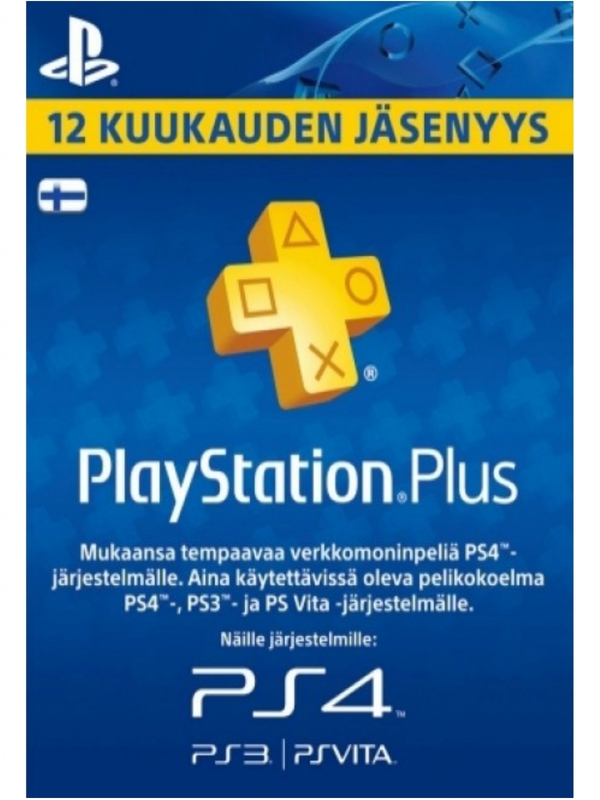 The voucher code is sensitive to the registers enter it as it is displayed. Remove spaces if accidentally captured while copying.